Welcome to The Food Coach Blogs! Please choose from our latest topics listed below. Feel free to comment on our blogs, but note that this facility requires free registration with The Food Coach. 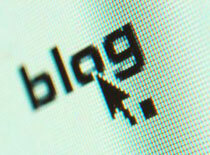 Blog topics will be updated weekly. If you would like to suggest a topic, please feel free to contact us. What do you think about putting Probiotics in Ice Cream?